Firstly, I would like to thank you for discussing economic and political matters in an honest and frank manner. It is difficult in the present world to find individuals with integrity, and I am aware that you have sacrificed a great deal in order to maintain yours. As a student of economics, with a particular interest in macroeconomics, I am of the same opinion that you cannot isolate national trends in a complex international system. Capital flows are often understated, or even overlooked in the grand scheme and many analysts have a rather myopic world view. I was curious regarding your recent post on the war between public and private interests. I assume that this refers to the capital flow tug of war between private stocks and public bonds? Furthermore, where does physical gold and silver fit into this picture? My understanding of your historical data is as follows, capital can (and will) shift from public assets (bonds) into private assets (stock) as a way to avoid currency debasement. It is likely that in the event of sovereign default all assets will rise, though the stock market will likely see the most significant rise as capital flows seek a place to park. Likely this will move first. However, gold, silver and other precious metals will also rise with a time-lag as “main street” seeks physical assets to protect their wealth. Most notably I saw the “Executive Order 6102” in 1933 on the historical Dow Jones Industrial Index chart. I suppose that flight of household savings into precious metals can actually become a serious threat to future economic growth and development, at which point laws will be enacted and enforced as best as possible. PS: Regarding your recent posts on cryptocurrencies, central bank created bubbles and so on, you have been absolutely objective and spot on in my opinion. Cryptocurrencies are a short-term convenience to accustom people to an entirely electronic currency system and also to take the wind out of the sails of precious metals. Also regarding central bank bubbles, it should be obvious to critical thinker that central banks can augment or set circumstances in motion which might assist in bubble creation, but bubbles have existed before and will exist long after central banking. Thank you for your time, I understand this is a long email, and once again thank you for your blog. It is a source of daily interest. ANSWER: Precious metals are not a threat to the monetary system directly. Gold was confiscated to prevent hoarding. Like in Japan, if people see no opportunity to invest they hoard. FDR’s confiscation was in that direction not that the metals presented a threat. Today, gold will never replace the currency as the medium of exchange. We are headed into electronic currency and gold would just be impractical in this new age of the internet. We will see the same trend as the railroads and how they wiped out local business monopolies and they gave birth to mail order. The Dust Bowl destroy agricultural jobs and only those who were capable of learning skills made the transformation. The internet is doing the same thing reducing jobs locally and shifting the skill set to computers that is leaving the jobs behind for those too old to make the transition. This is how the economy evolves. The threat of precious metals is not some powerful force to replace money any more than Bitcoin. It is a threat to the collection of taxes as is Bitcoin. Moving to electronic currency will wipe out Bitcoin and they will leave it bee to get people accustomed to electronic money and then prosecute everyone on there who did not report income. The flight of household savings into precious metals will never be huge. The precious metals advocates are a tiny fraction of society. The bulk will just follow electronic money and never think twice. Go to Starbucks and watch how many your people pay with their cell phone. They do not use plastic or cash. The older generations cling to gold, but the younger generation think differently already. Central banks do not create bubbles. The same as banks cannot manipulate markets regarding trend. What they both can do is increase the volatility. 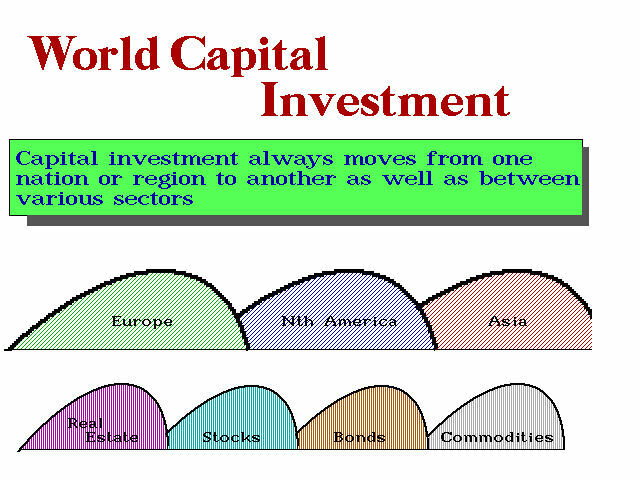 Neither is capable of creating a trend for to do so means the entire array of global markets must also be manipulated. Nobody can do that and nobody can figure this out on a individual level. It takes our supercomputer just to track everything in the world simultaneously. I do not think any person has such brain power. Just look at today’s action. Stocks down and gold down. This is the classic Public v Private force. The gold promoters hate stocks and the dollar yet cannot see gold’s role within the entire gambit of the global economy. Like the silver lawsuits. Come on. The theory is that banks have manipulated and prevented their rise. That would only be possible if the precious metals were the only thing down – but that is not the case. The gold promoters have so discredited themselves that they have done far more damage that most recognize. Talk to a non-goldbug and they look upon the gold scenarios are snake-oil salesmen who cannot be trusted. Everything is a manipulation and that is why they have been wrong. So what are they going to say now when the banks are bailing out of commodity trading & warehouses. Liquidity will decline further and the metals will not rally until they are ready for prime time. We are now starting to lose their traditional scape-goats. Who will them blame next? « Ebola Virus – The Next Plague Due 2019?